P20-1UQ circular connectors are used extensively in line connections between electrical equipment,various instruments and meters.These connectors have the features of small volume,light weight,convenient application,high durability of plugging and unplugging,threaded coupling,good sealing performance,high conductivity and high dielectric strength.They are made according to the standard SJ/T10496.They are for military and industrial applications.P20K1U-J1A: high ovltage connector specially. 4. Sign of contacts: TYPE 1 mean 4 pins connectors. 5. 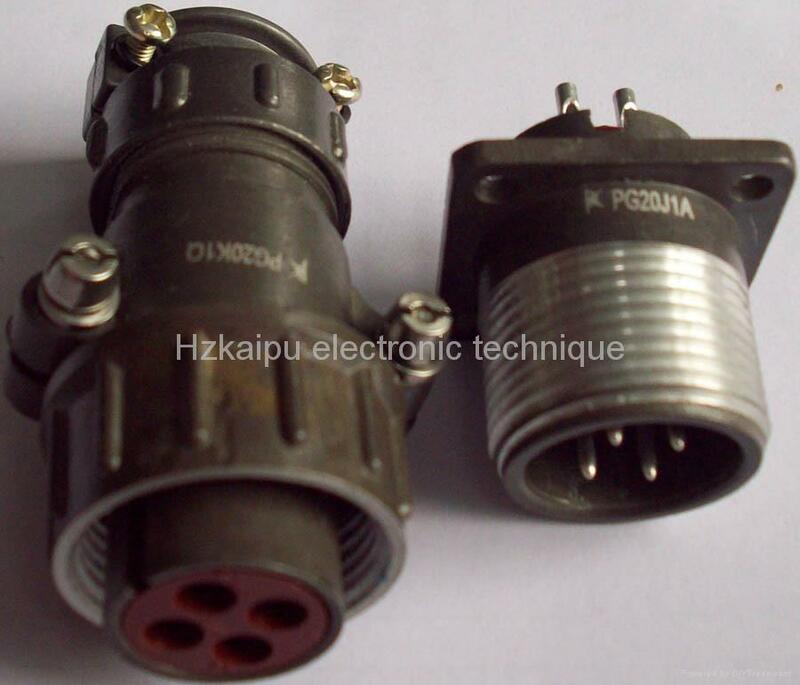 Type:without mark:plug,A:normal receptacle,M:sealed receptacle.Q:Plug with shell. Specifications︰ P20K1U+PG20J1A: high ovltage connector specially. Advantages︰ P series circular connectors are used extensively in line connections between electrical equipment,various instruments and meters.These connectors have the features of small volume,light weight,convenient application,high durability of plugging and unplugging,threaded coupling,good sealing performance,high conductivity and high dielectric strength.They are made according to the standard SJ/T10496.They are for military and industrial applications.P20K1U-J1A: high ovltage connector specially.